Raymond Robert Fischer, a born-again Jew and Bible scholar, takes you on a journey back to the days of the Nazarene Jewish movement, known as The Way. But this is no bland biblical history lesson. You will learn why restoring the original theology, doctrine, worship practices, and structure of the early church will also restore the body of Christ to its former glory. Discover what new archeological finds in Israel and ancient manuscripts stored in the Smithsonian are telling us about the roots of the faith and the Bibleand why scholars don't want you to know about it. Know how you can start or participate in a vital home church that follows the model set forth by the early Christians, who were taught by Jesus Himself. Whether you are praying for a radical revival or simply seeking a change from the status quo of "church as usual," read this fascinating account of the early Jewish-Christian "fathers" and get ready for the outpouring of the Spirit. 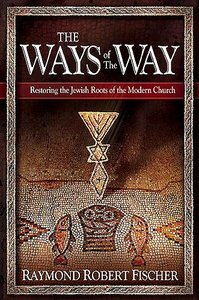 Ray Fischer, born-again Jew and Bible scholar, takes you on a journey back to the days of the Nazarene Jewish movement, known as The Way. You will learn: Why restoring the original theology, doctrine, worship, practices, and structure of the early church will also restore the body of Christ to its former glory. What new archeological discoveries in Israel and ancient manuscripts stored in the Smithsonian are telling us about the roots of the faith and the Bible-and why scholars don't want you to know about it. How you can start or participate in a vital home church that follows the model set forth by the early Christians, who were taught by Jesus himself. About "The Ways of the Way"
Bob Fisher is a Messianic Jew. Donna is "married into the covenant." Bob holds a B.A. from the University of Rochester and a Master of Arts and Doctor of Humane Letters from Faith Seminary, Tacoma, Washington. Donna received a B.S. in Nursing from the University of Tennessee and has held a variety of critical care nursing positions in the ever changing locations dictated by Bob's many career driven relocations.